Bajaj will launch the updated Dominar 400 within the next few weeks in India. The motorcycle was spotted a couple of times while it was being tested on the Indian road already. It was even teased in a new Bajaj brand promotional video as well. The updated motorcycle apart from getting some cosmetic and mechanical updates will also feature some attractive new paint schemes. 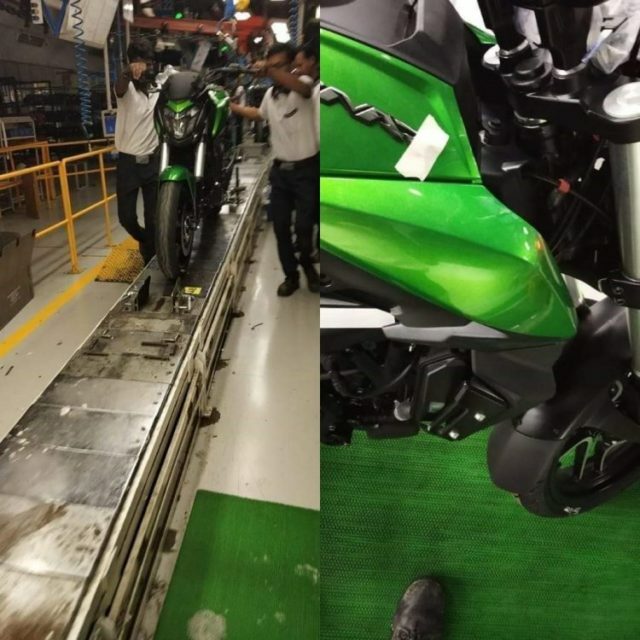 The soon to be launched Dominar 400 was spotted inside the Bajaj factory in a new green color paint scheme which is actually a glossy green paint. Although we are not exactly sure at this point whether this particular paint scheme will be launched in India or is an export model yet, but to be quite honest, it is a very glossy color scheme which will definitely turn some heads if it gets launched in India. The 2019 Dominar 400 received some major updates in the form of a new upside down forks towards the front which replaces the conventional unit, redesigned radiator grille and dual muffler setup. While both the instrument cluster and the fuel tank mounted secondary cluster too received their own fair share of updates. They are some other changes made to the motorcycle as well which include a new slightly repositioned front disc brakes, redesigned crash guard for better protection, and slightly longer rear fender. Whereas the all-LED headlamp setup, seats and fuel tank are carried over from the old bike. Another major upgrade that the upcoming Dominar 400 will receive is an updated engine. Rumours are that the new Dominar 400 will likely get a BSVI compliant motor which will be more powerful than the current unit. 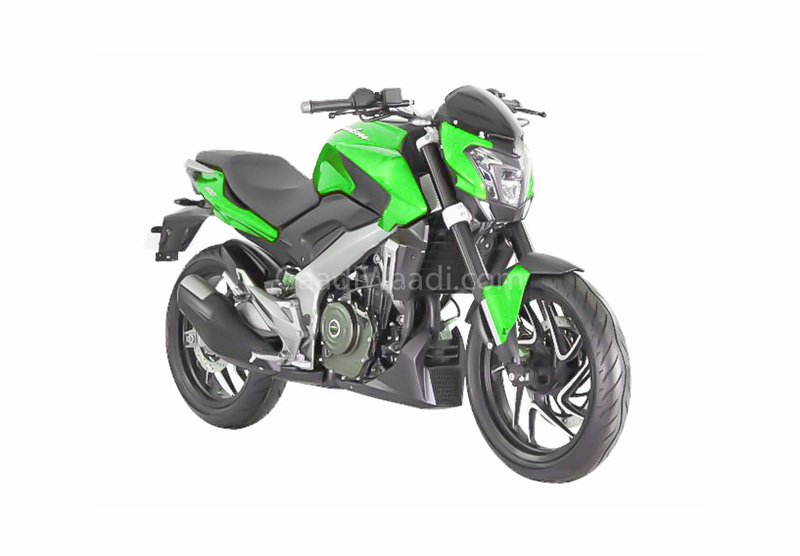 Currently, the Dominar is powered by a 373 cc single-cylinder, liquid cooled unit. The engine produces about 34 bhp of peak power and 35 Nm of peak torque. The unit is paired with a 6-speed gearbox and gets a slipper clutch as standard. Although Bajaj hasn’t made any official announcement yet you can expect this motorcycle to arrive in the coming weeks and will likely be priced Rs 15,000-20,000 more than the current variant.